Due to extensive flood damage, four bridges in this park required replacement or repairs. In order to minimize environmental impacts, each bridge was designed with consideration of construction accessibility of the individual site to limit disturbance. Pedestrian bridges included Hemlock Trail bridge, High Shoals Loop Trail bridge and the Fox Trail bridge. 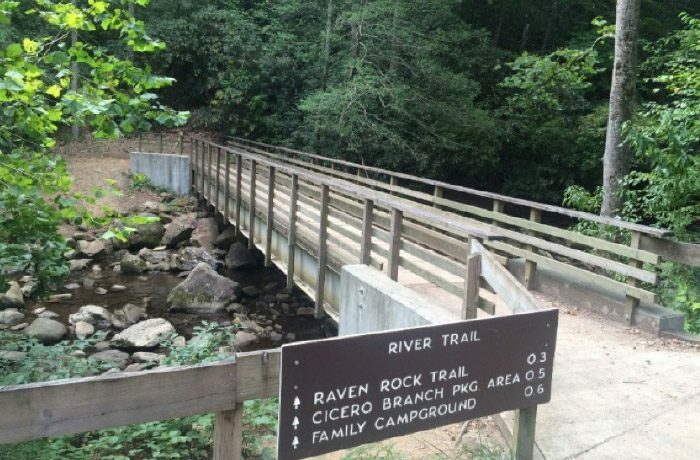 Raven Rock bridge is a vehicular structure for maintenance vehicles and horse trailers.